E-waste is increasingly becoming an issue in this country, and many households are unsure of how to dispose of old computers, phones and other products. If you are looking for a responsible way to rid yourself of old electronics, The New York Times suggests contributing them to a recycling program. In addition, people are welcome to bring in used electronics to most Best Buy and Staples locations. You can even trade in old equipment for resale using Gazelle or Amazon. GMG has “The Big Green Box” in many locations around our offices so employees can easily drop these off at work, removing a barrier to recycling. While some people are looking to recycle their used gadgets, social media tools are helping people create awareness of the environment and ways to improve it. One interesting tool we have seen recently is Litterati, a, photo gallery of litter that allows users to share their findings and engage with brands. Here’s a great video overview of the company. Last month, President Obama announced his commitment to the environment through his Climate Action Plan. This proposal aims to reduce greenhouse gases, prepare the United States for the impact of climate change, and help other countries contribute to a cleaner future. In addition to the Climate Action Plan, the Obama administration is in the process of deciding whether the Keystone XL Pipeline should move forward. The level of impact on the environment from the pipeline must be determined before any decision can be made. 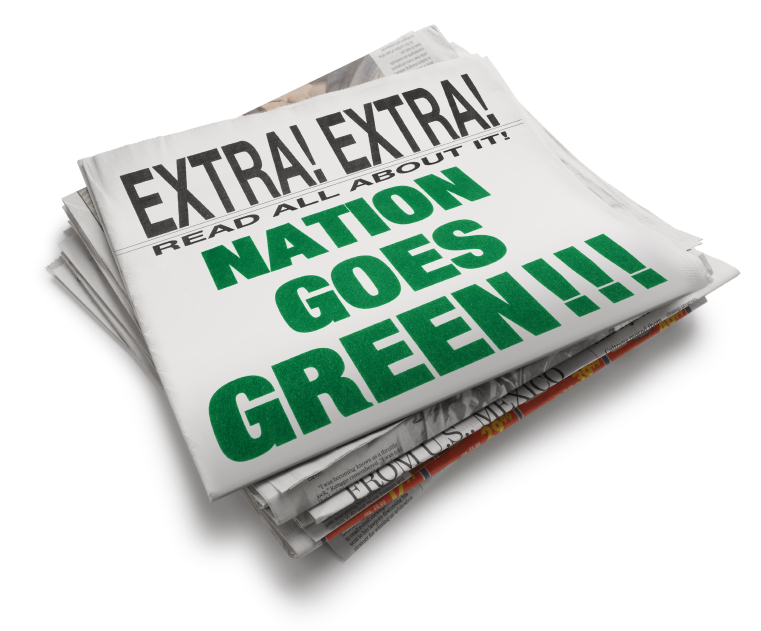 We hope these are helpful for you – we will continue to share interesting content and observations related to the environment, green business and green marketing in the weeks and months to come. Thanks for reading!